The image for the 2015 'Silver Icons of Faith' Madonna & Child Proof-Like was approved by the estate of Eyvind Earle, one of America's leading modernist painters. Earle's works spanned a variety of mediums, including fine painting, illustration, design and animation. He is especially well known for his Christmas cards featuring images from his works, including landscapes, holiday and religious themes. 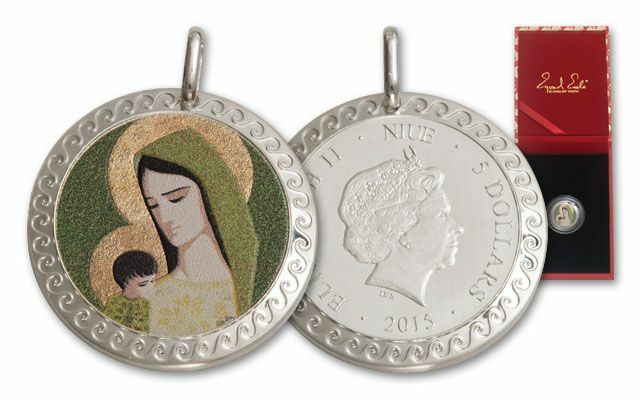 Each legal-tender $5 Madonna & Child Proof-Like contains 10 grams of 99.9% fine silver. 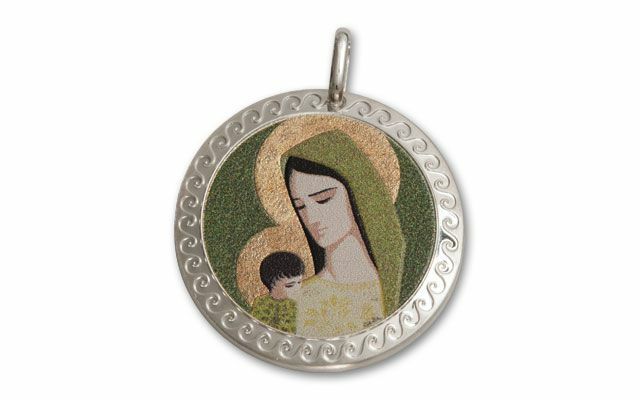 The reverse depicts the Madonna and Child with vibrant colorization and a wave design border. 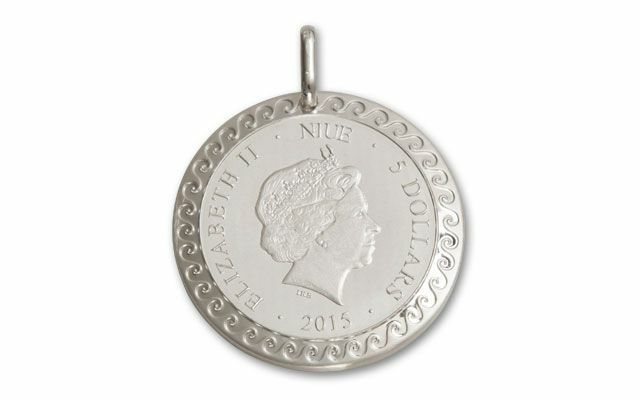 The fine silver bale allows it to be worn as a pendant. 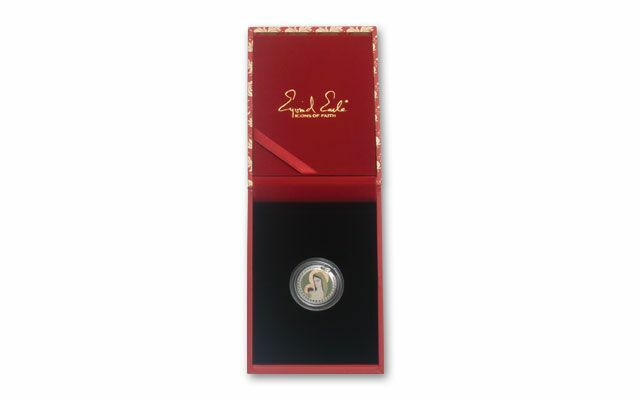 Each comes in an elegant presentation box with a certificate of authenticity. The mintage is limited to 2,000-these will sell quickly. Secure yours just in time for the holidays.